SitterTree will give away one FREE date night to a deserving family each month through December 2019. 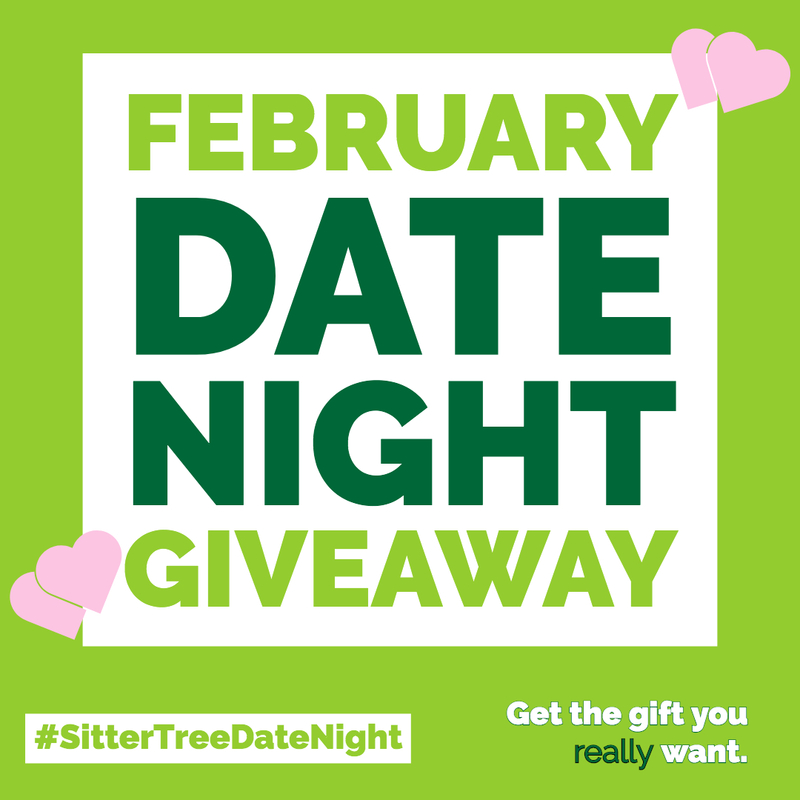 Each date night includes 3 hours of FREE babysitting by a SitterTree’s top-rated sitter + $100 Gift Certificate. 1. Follow SitterTree on Facebook and Instagram and “like” the #SitterTreeDateNight post each month. 3. Tag SitterTree and 3 friends who could use a babysitter! Do not have to be a SitterTree member to qualify, but winner must be an approved member to receive the FREE babysitting hours from a SitterTree sitter. Participants are limited to one submission per month, but may participate every month. The more you post, the more chances to win! Post should include: a picture, SitterTree must be tagged along with three friends, and #SitterTreeDateNight. SitterTree will select a winner at the end of each month from all prior posts. Winner will be announced on SitterTree’s Facebook and Instagram. Winner will receive three (3) hours of FREE babysitting from a SitterTree sitter of our choosing. Winner is responsible to pay SitterTree’s set hourly rate for any additional hours. Winner will also receive a $100 Gift Certificate to a location of our choosing.